On Friday, December 18, Dr. Emily Van Houweling and I travelled to the Lilongwe International Airport, Malawi, to board our return flight to the U.S. after an extremely productive visit to Mzuzu University. We had spent a week meeting with faculty and university administrators to develop the logistics and content for a joint WASH course in Malawi, which we are offering to students at Virginia Tech, the University of Denver, and Mzuzu University in July 2016. On our drive to the airport we learned some tragic news. The Mzuzu University Library – which contained some 45,000 books and other resources – was completely lost to a fire during the early morning. The library had also housed several critical computer servers, taking the university’s web page and other key services offline. I took the picture of the library below on Thursday, December 17, around 12 hours before the fire. The picture was taken during a final walk of the campus before we began the five hour drive from Mzuzu to Lilongwe. 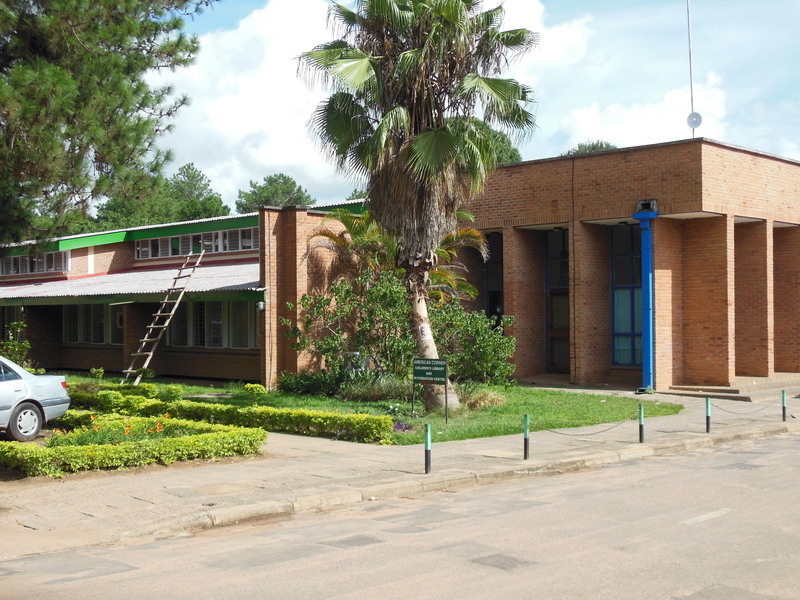 The importance of the Mzuzu University Library and its computer servers to the functioning and future development of the university cannot be overstated. 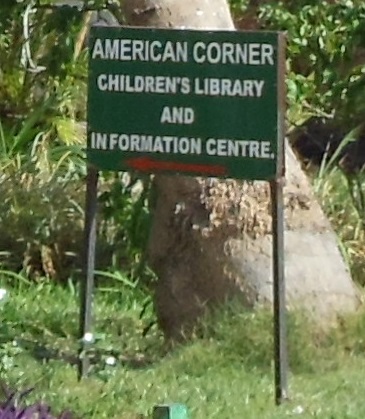 The library is the primary source of information for students, from small children, who regularly visit the children’s library (see the image on the right), to graduates. In addition, during our meetings over the past week we learned how the university was planning to roll out a 15 mbps internet network, which represents a threefold increase in the current speed of the network. I suspect the fire will significantly delay this initiative, which will impact Mzuzu University’s plans to launch an expanded online learning strategy. In the spirit of advancing a Global Land-Grant Institution and Ut Prosim, I challenge Virginia Tech’s students, faculty, and staff to consider creative ways in which we can support Mzuzu University’s effort to rebuild its library, servers, and research capacity. Please share your ideas via Twitter using the hashtag #HokiesHelpMzuni. Emily and I plan to return to Mzuzu in July, 2016 for the joint WASH course. Over the coming months we will work with Dr. Rochelle Holm, the Director of the Mzuzu University Centre of Excellence in Water and Sanitation, to identify strategies to help rebuild WASH-related resources in the library. Similar strategies will be needed in all of the university’s core areas of competency, which include mathematics, chemistry, biological sciences, physics, history, languages and literature, geography and earth sciences, religious studies, forestry, fisheries, education/distance learning, energy and renewable technologies, water resources management and development, sanitation, health sciences, nursing and midwifery, optometry, ICT, tourism and hospitality, and land management and surveying. In addition to sharing ideas via Twitter, I’d be happy to talk with anyone who would like to discuss their ideas in person. The TEAM Malawi group of faculty and students on campus will also develop a coordinated response. For those students planning to take the joint WASH course, this turn of events will impact how we prepare for our time in Malawi. The experience of working with international partners to achieve a real and important objective will present many opportunities for learning and service.